Do your company or union need an external mailbox/postbox address for receiving and sending letters and packages? Or do you need a personal mailbox in the city? Courier Copenhagen offers you a budget-friendly solution at one of the most attractive and prestigious addresses in Copenhagen. You can use your mailbox address as the sender when sending letters and packages and of course as your official postal address. You get your own psychical mailbox in our office. You can stop by at any time weekdays and weekends during our long opening hours, to pick up your letters and/or packages. Of course, we can also offer to collect your mails and packages e.g. once a week or every other week as needed and sent to another address for you. Courier Copenhagen will also be your local post office. We can help you with postage (e.g. direct mail campaigns, regular invoices or just the odd letter once in while). 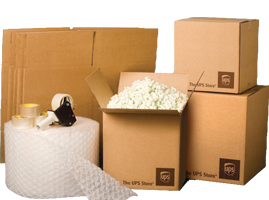 We also, via our courier partners, offer national and worldwide day to day shipping of packages. Our prices start as low as DKK 140 / month (excl. VAT). If you have the need for regular shipments eg. from a webshop or other business, we can offer you attractive flat rate prices based on your needs and shipment volume. To avoid fraud there’s a lot of rules and regulations in the area, depending on company type and ownership etc. To make the registration process as easy and fast as possible, our friendly staff will guide you and let you know exactly what documentation to provide. Of course, our contract is up to date and according to the current legislation as well. It is not legal to use the mailbox address as a company address. Therefore you can not register a VAT (CVR) number on the address! Please send your inquiry by email to info@couriercopenhagen.dk or call us at +45 33257725 and we’ll get back to you with an offer as soon as possible. Also if you have any questions don’t hesitate to contact us.